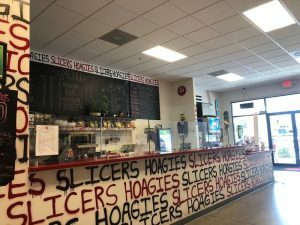 ***** Slicers Hoagies, 13020 Livingston Road, Naples, Florida 34105, (239) 280-0703. 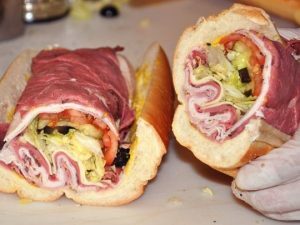 Got a real good sub joint ( sorry, I meant to say- hoagie joint) for you guys to checkout, Slicers Hoagies in Naples. 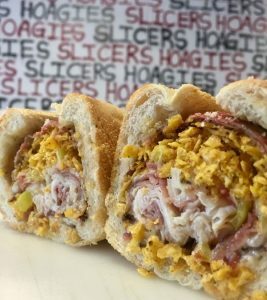 Real simple tale to tell you guys…order/pickup at the counter, table seating, hoagies/ sandwiches/ wraps/ salads menu, open 7 days a week 10am-8pm. Jeff Eats and Mrs. Jeff Eats “discovered” Slicers Hoagies something like a week-ago and I gotta tell you that the joint’s reasonably priced stuff was absolutely delicious. 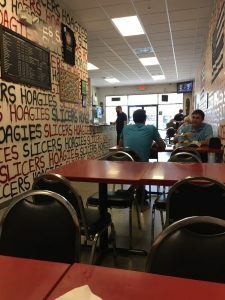 Just between you guys and Jeff Eats, in my day- I’ve eaten in my fair share share of sub joints (I mean hoagie joints) and trust me, Slicers Hoagies’ food is right-up there with the best I’ve had in Florida, not to mention, New York, New Jersey Connecticut, etc. If you live, work, play in Naples- you gotta give this joint a shot! The bet here- is that you won’t be disappointed! 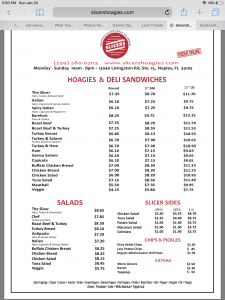 You can check menu/prices/info at slicershoagies.com. I live a 5 minute drive from Slicers. 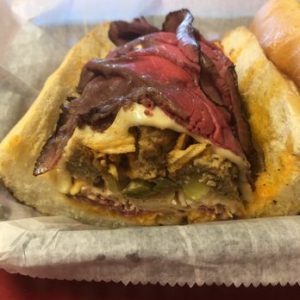 You are so right, one of the best hoagie joints going. I’m there at least 6 times a month for lunch. Great recommendation and I highly recommend that your readers try this joint out.